A new drug dubbed ‘the Trojan Horse of cancer’ has moved on to the final trial phase after proving effective against six types of cancers as part of research led by a Maltese doctor. Patients with no other options left, over a quarter with cervical and bladder tumours, nearly 15% with ovarian, oesophageal and lung tumours, and seven per cent with endometrial cancer, responded well to this new treatment. The results of the initial clinical trial of the drug, known as tisotumab vedotin (TV), which was led by a team at the London Institute of Cancer Research and the Royal Marsden, were published in The Lancet Oncology. 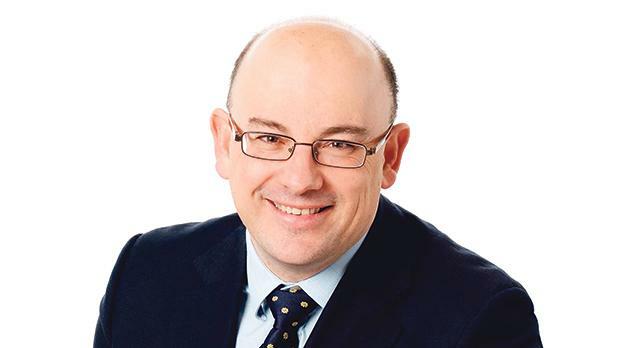 Lead author Johann de Bono told Times of Malta that the drug specifically targets cancerous tumours, sparing the ‘good cells’. The treatment does this by combining a chemotherapy agent with an antibody, and just like a Trojan Horse is drawn inside the tumour. Prof. de Bono describes it like a mine that sneakily binds itself to a tumour cell and then blows it up but avoids binding to normal cells. “This mechanism targeting the protein tissue factor is novel and it has the potential to treat multiple types of cancers with very poor survival rates,” he said. In his 25 years of experience, he has not seen any treatment working so positively on cervical cancer, Prof. de Bono added. Additionally, its side effects are less aggressive than the typical effects associated with chemotherapy. The results have been so promising that there has now been investment in the next stage of international research trials to take the drug to registration phase, he said. TV is now being trialled in other cancer types, including pancreatic, bowel, head and neck, and the research will also look at the drug as a second-line treatment for cervical cancer. Last year, Prof. de Bono, who spearheaded a breakthrough in the fight against prostate cancer, was awarded a prestigious professorship by Queen Elizabeth. The professorship celebrated Prof. de Bono’s world-leadingresearch in the clinical development of cancer treatment. London’s Institute of Cancer Research, where he heads the clinical studies division, was one of only 12 across the United Kingdom to be awarded the Regius Professorship, marking the Queen’s 90th birthday. The award fell on the 10th anniversary of the news that a team of British researchers, headed by Prof. de Bono, had made a dramatic breakthrough following drug tests that began at the Royal Marsden Hospital.